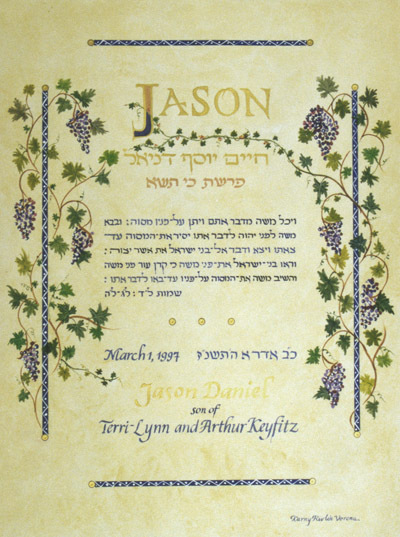 Maftir for Parashat Ki Tisah, this Bar Mitzvah gift was created on the "Parchment" background made by the artist. the frame in Blue and white illumination is complimenting the text written in the same Blue. Ink: Gouache, watercolour and dry pigments.